Kick back and enjoy an eclectic selection of specialty coffees and casual fast food from Continental breakfasts, salads and sandwiches to made-to-order pastas while soaking in the peaceful, calming and welcoming atmosphere at the Chart Room Cafe. Display of an eclectric array of artifacts from the world adventures of contemporary explorers. Featuring teas and coffees from the Explorer’s favorite countries! Morning Continental Breakfast with freshly baked warm pastries, fresh fruits, juices and hot items. Lunch and Dinner features freshly made to order pastas from fresh herbs, salads, sandwiches and simple dishes for lunch, and for dinner, more upscale Western dining will be available. 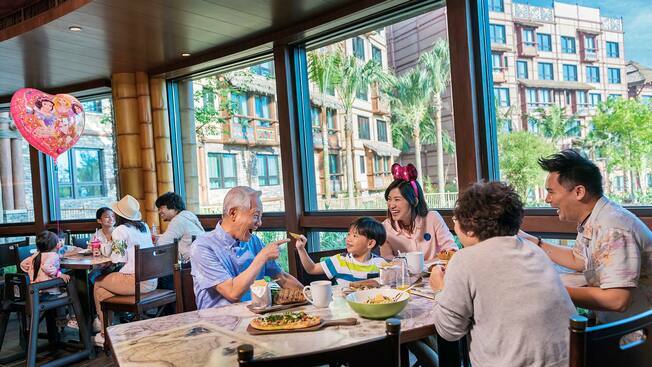 Specialty drinks and nonalcoholic concoctions make for a fun family-friendly-gathering spot!